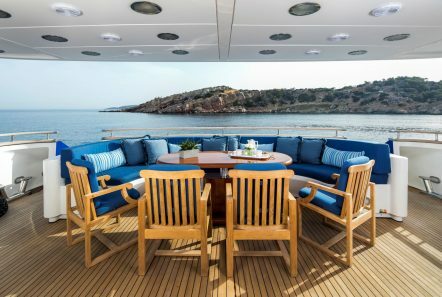 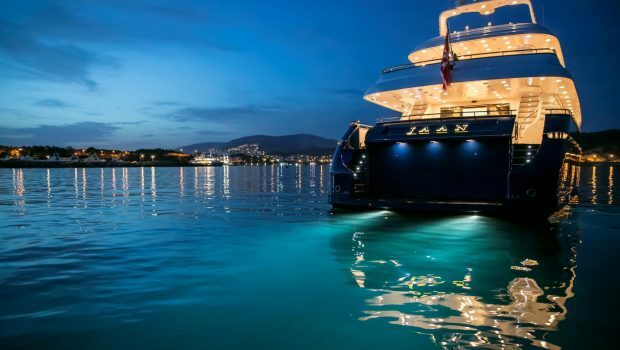 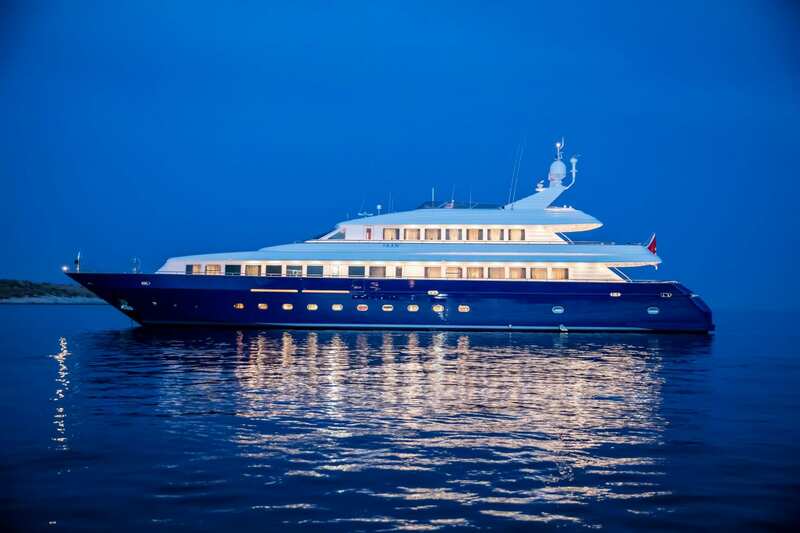 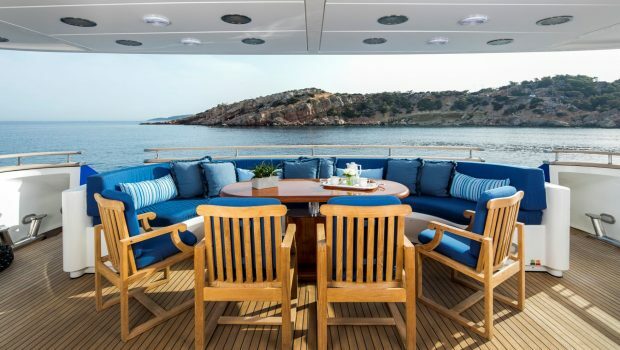 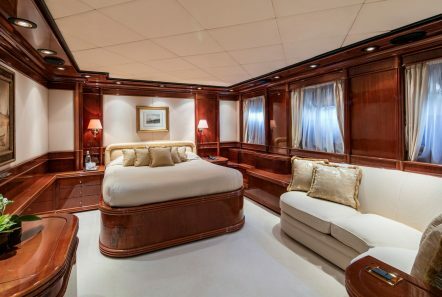 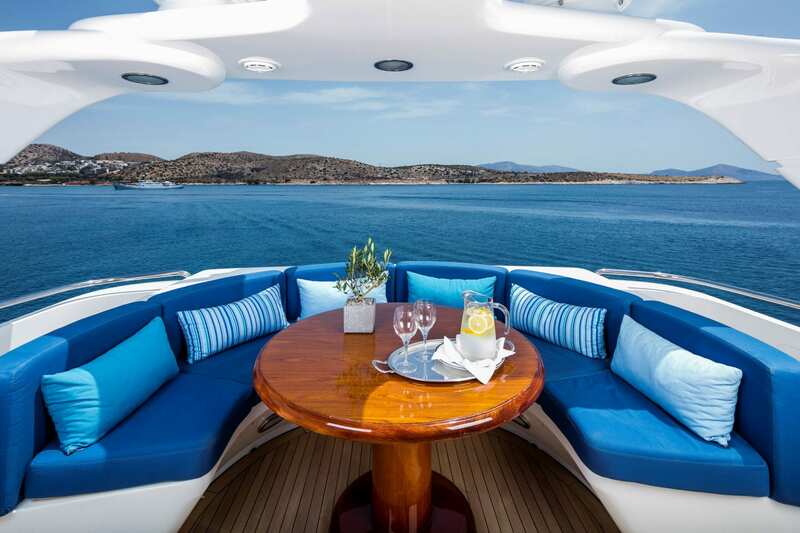 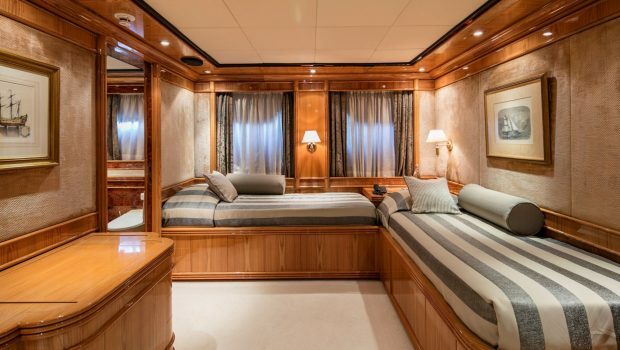 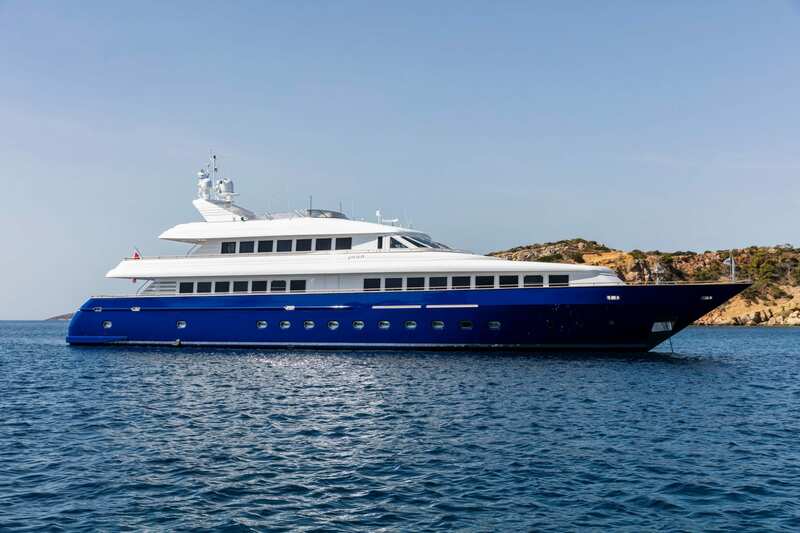 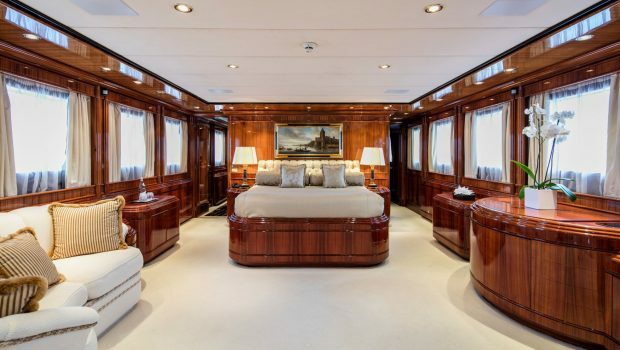 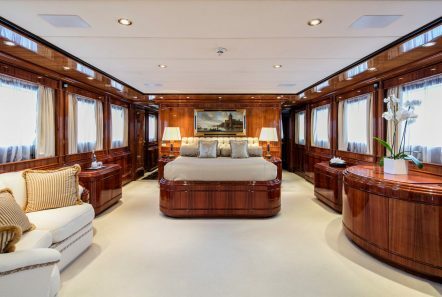 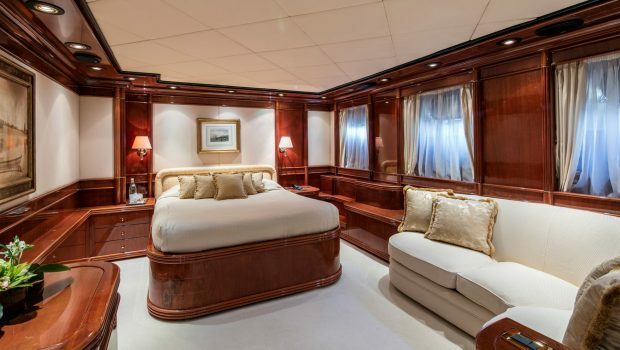 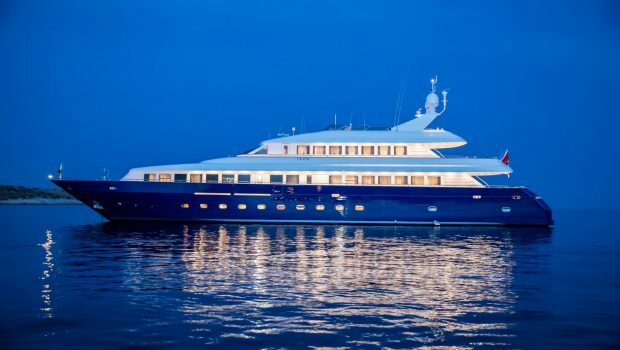 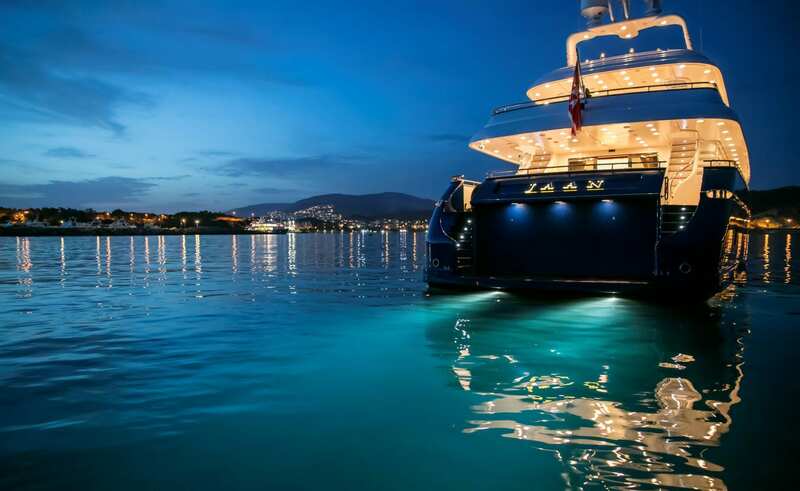 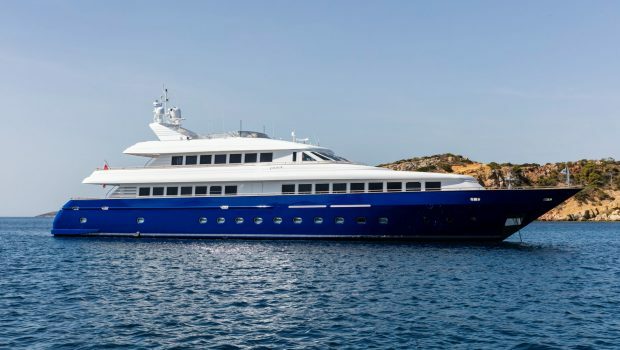 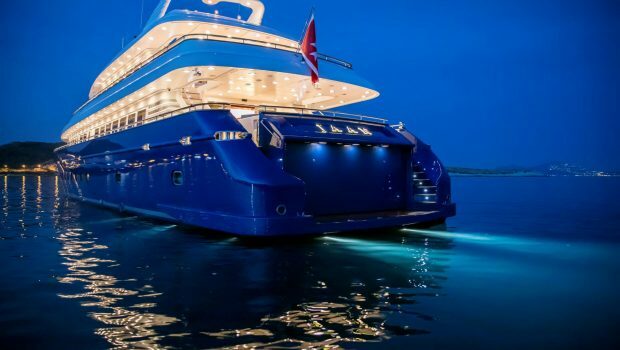 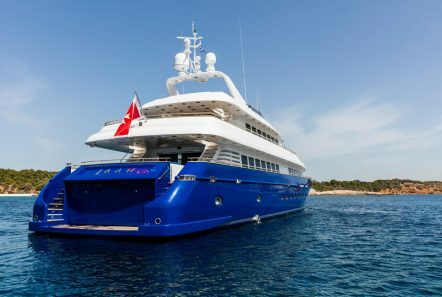 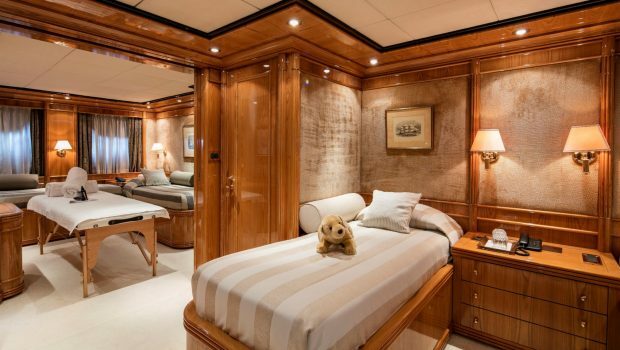 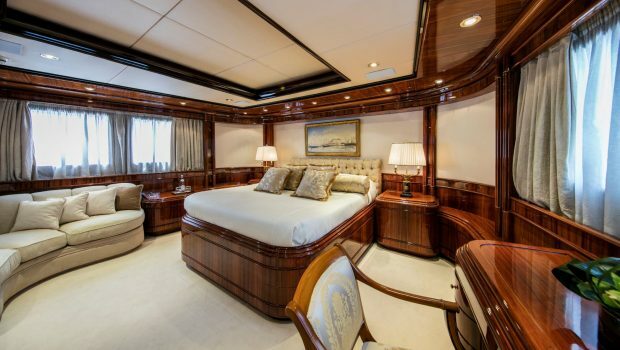 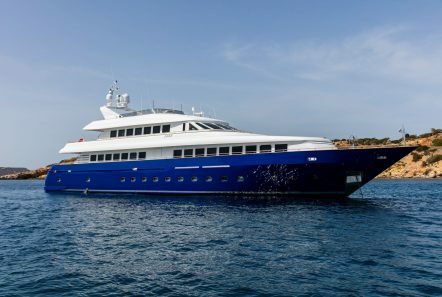 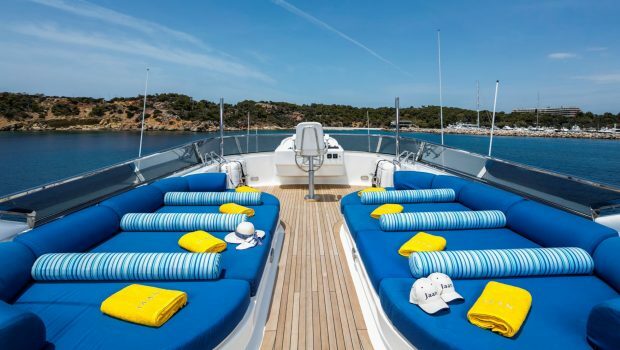 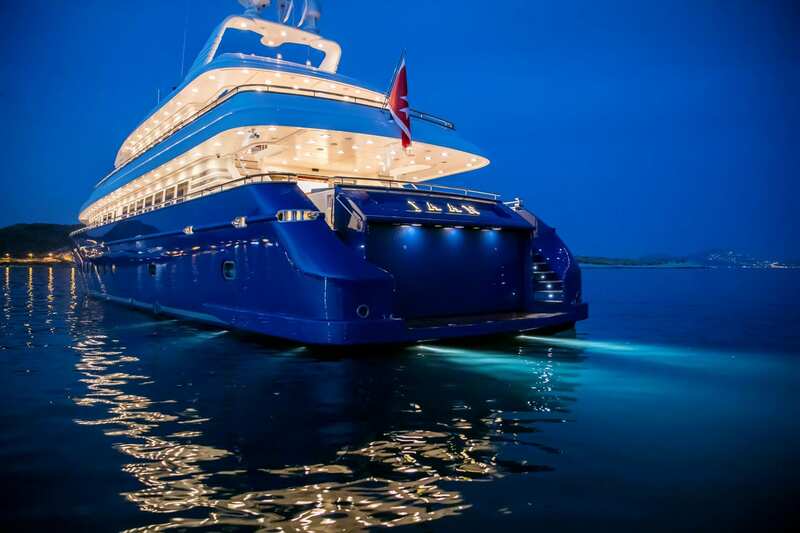 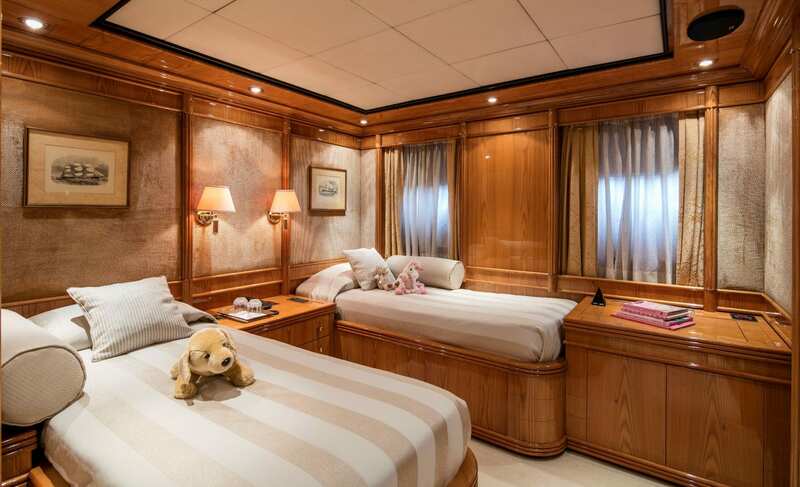 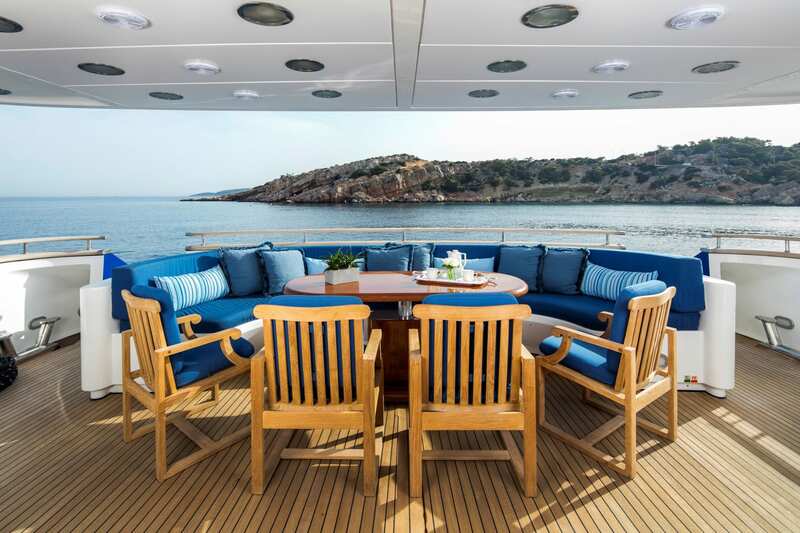 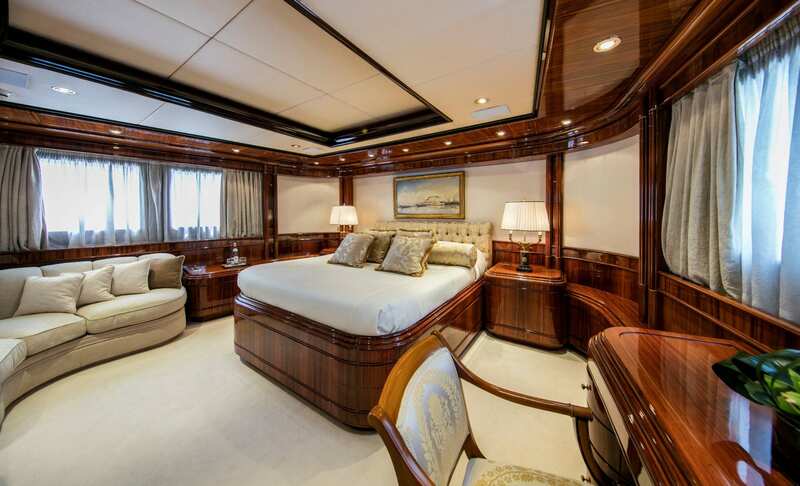 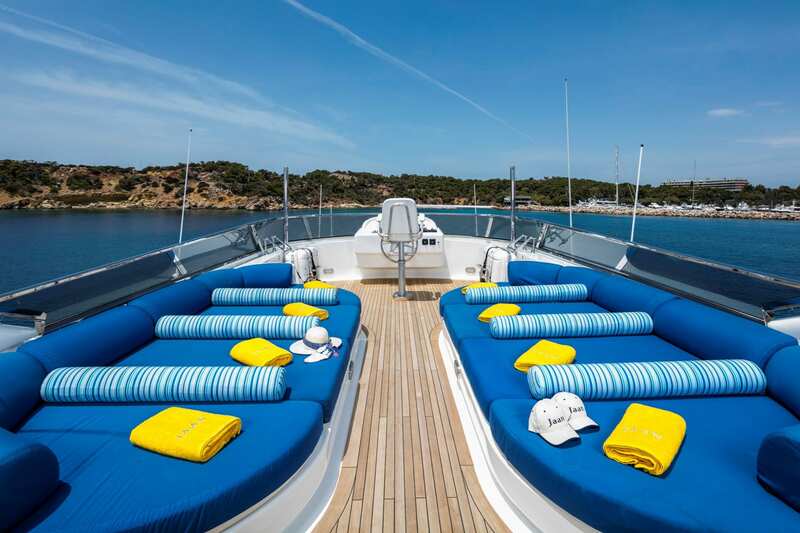 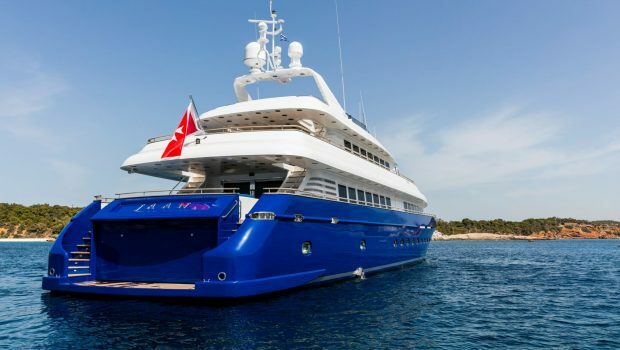 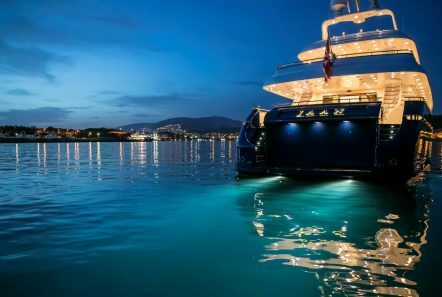 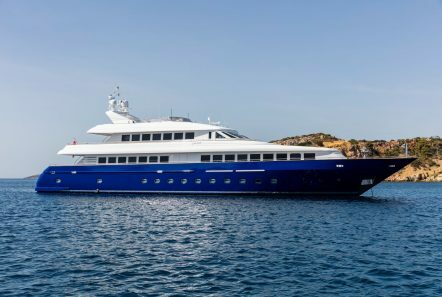 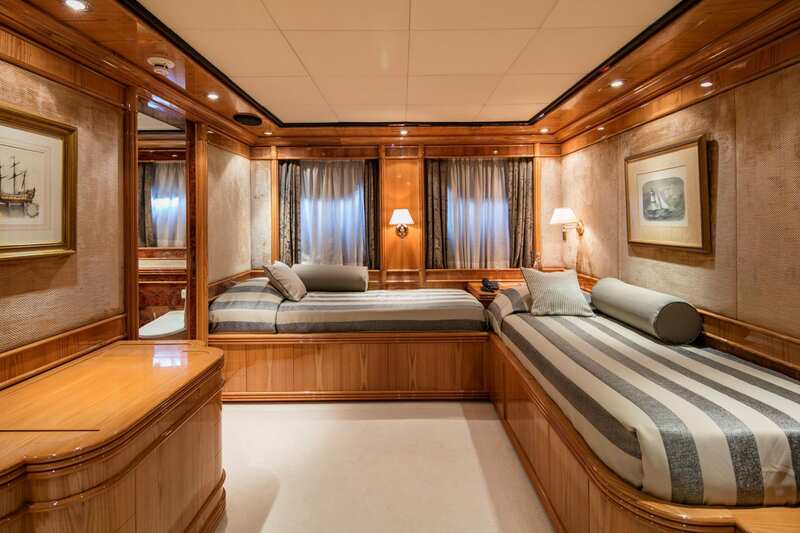 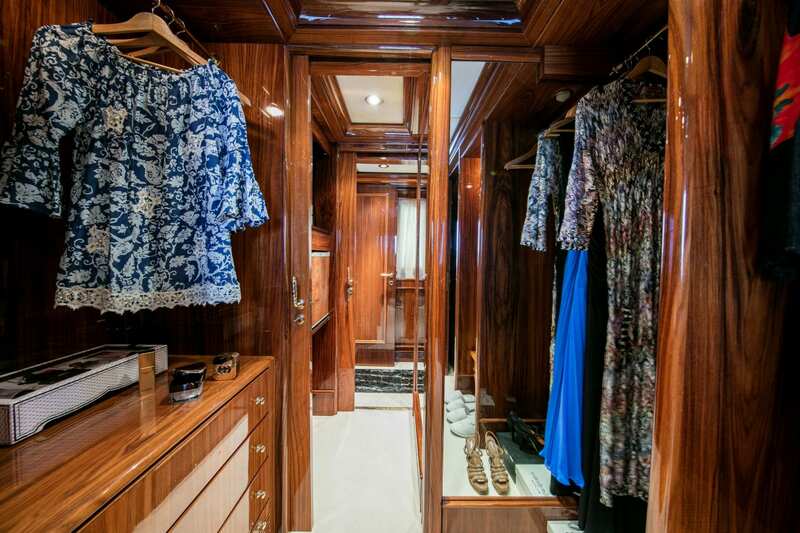 JAAN comfortably accommodates 12 Guests (4 double, 2 twin). 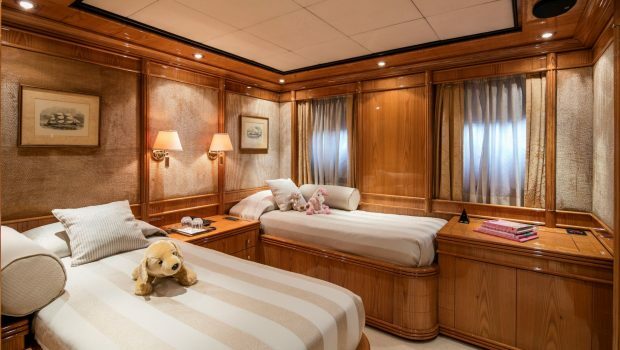 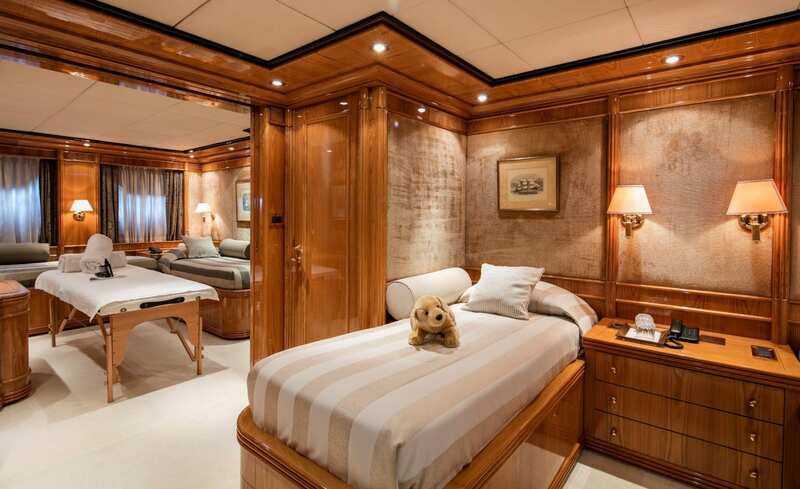 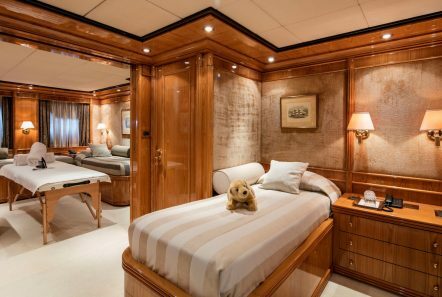 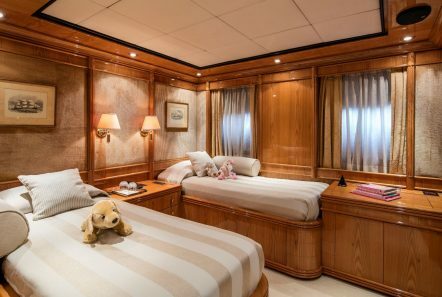 One full beam Master stateroom on the main deck with king; size bed, walk-in wardrobe, saloon, office, TV, and jacuzzi/shower; One VIP stateroom on the upper deck, with king size bed, walk-in wardrobe, mini bar/refrigerator, Jacuzzi/shower and private access on the upper deck; Two Double staterooms on the lower deck forward, with queen size bed, walk-in wardrobe, sofa and Jacuzzi; Two Twin cabins on the lower deck, with two single beds , walk-in wardrobe, that can be converted into a spacious stateroom, by a sliding door. 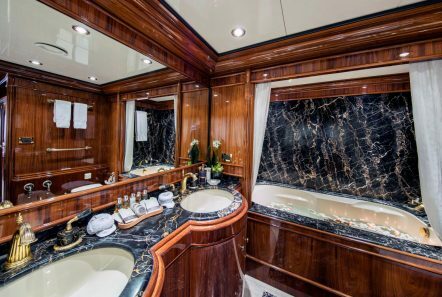 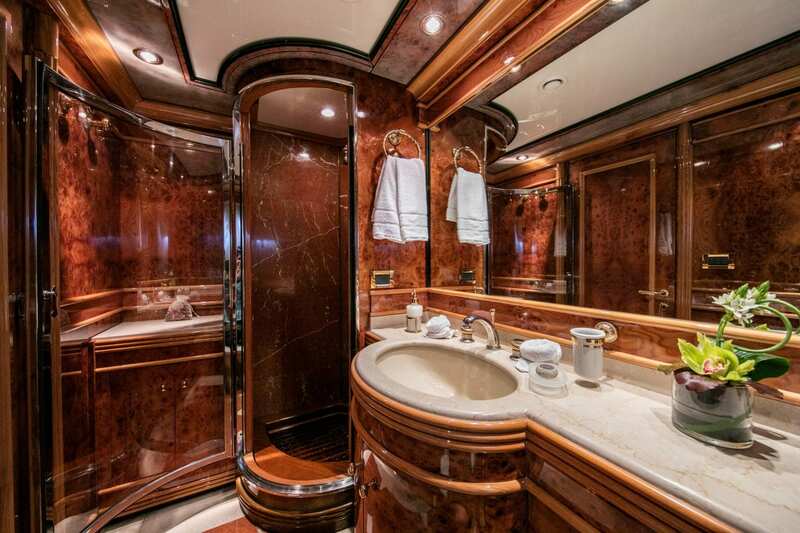 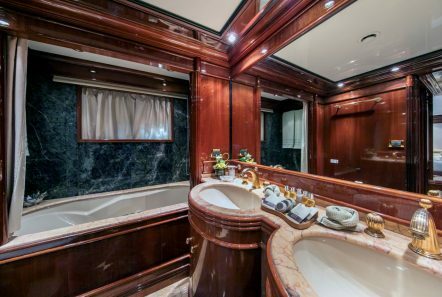 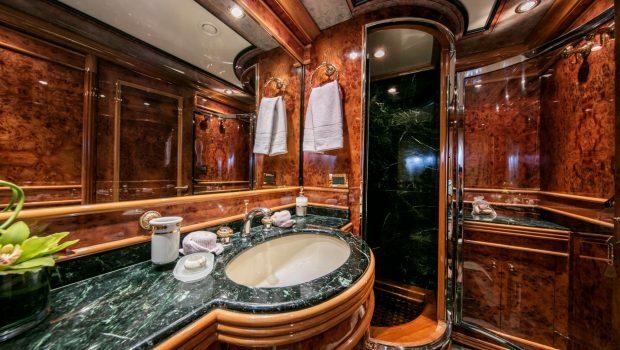 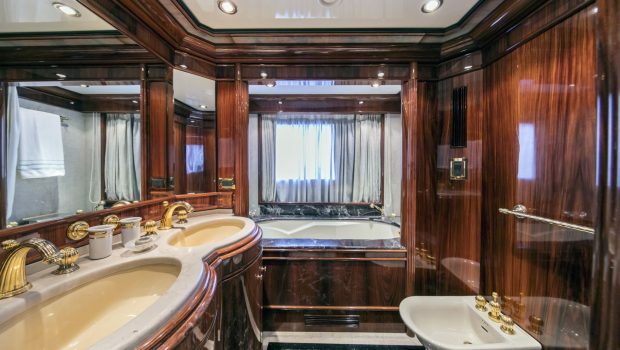 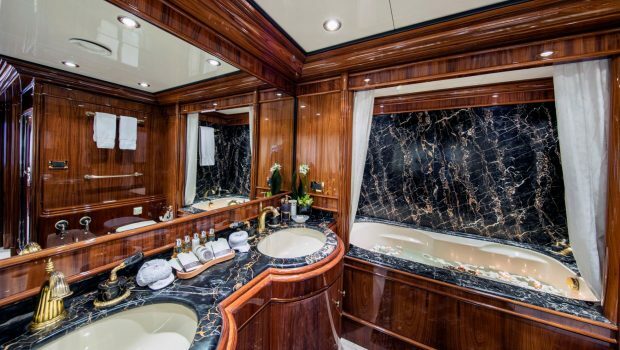 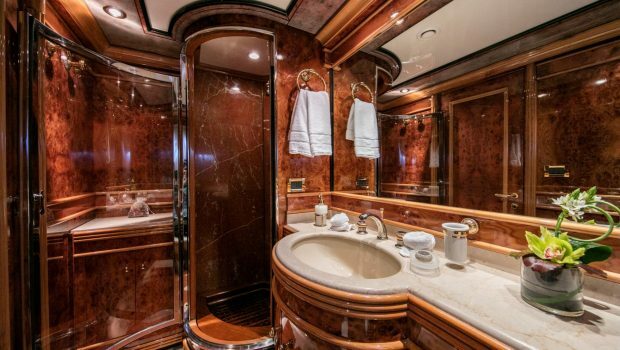 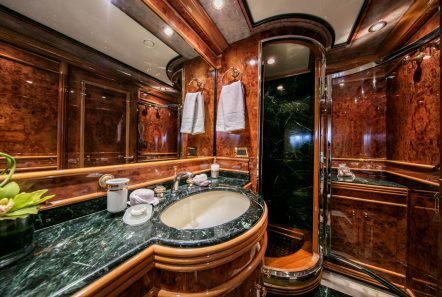 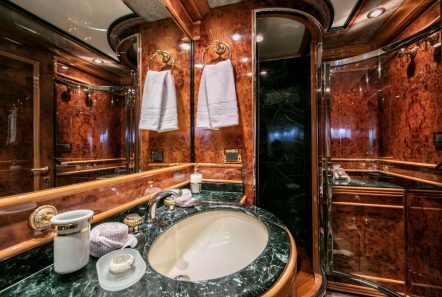 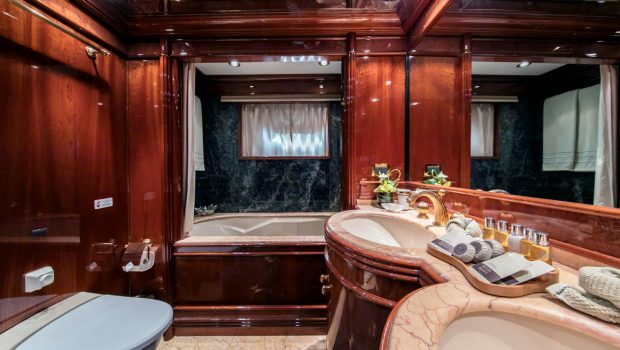 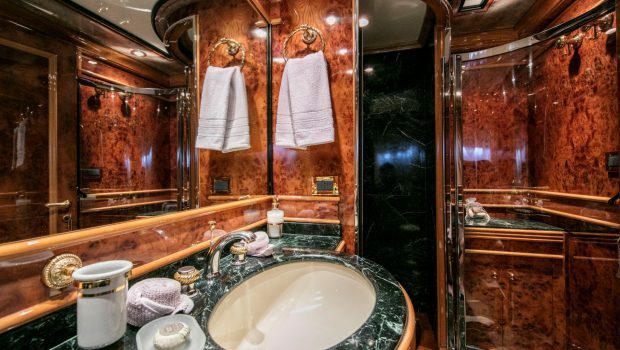 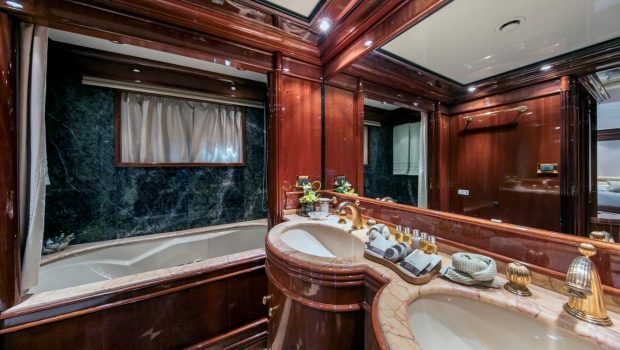 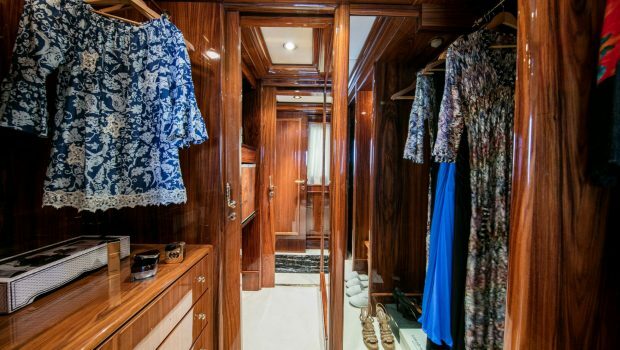 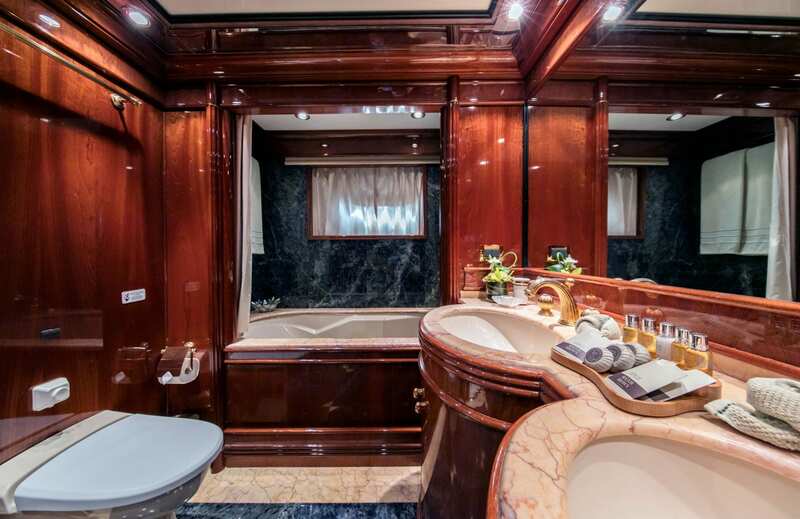 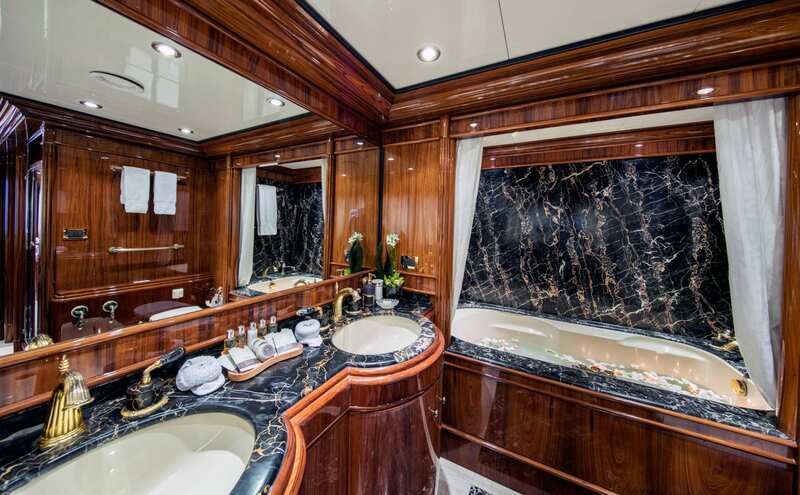 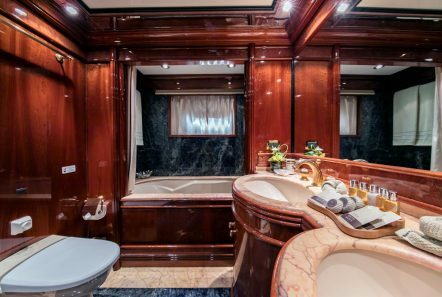 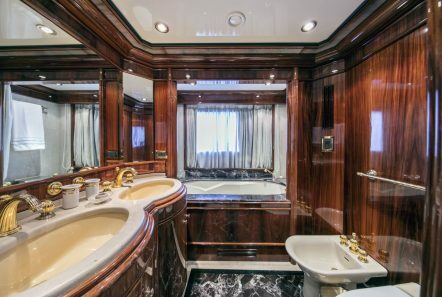 Shower in each cabin, En-suite facilities in all cabins. 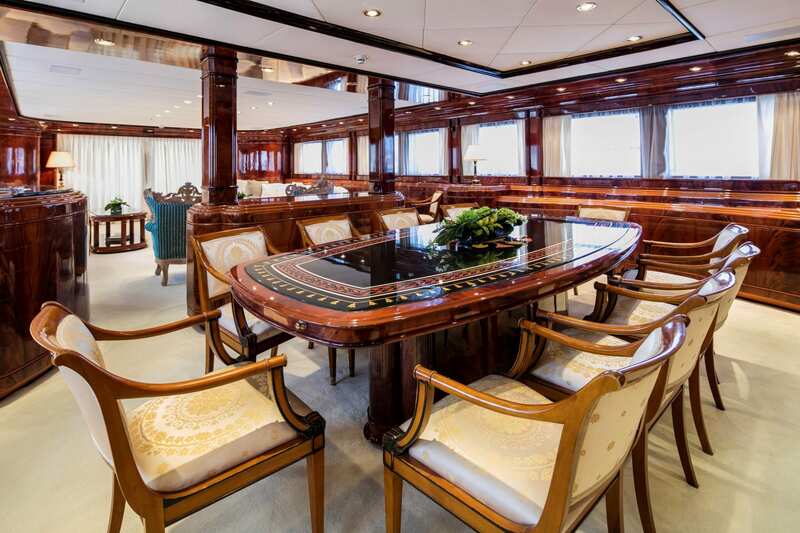 Her main salon is very spacious with numerous seating areas. 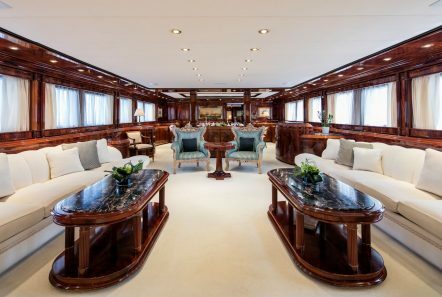 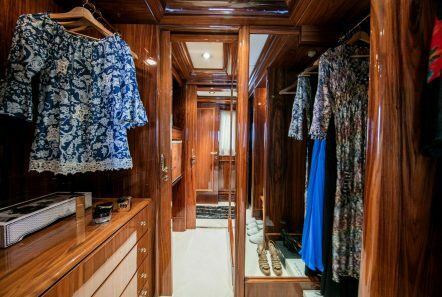 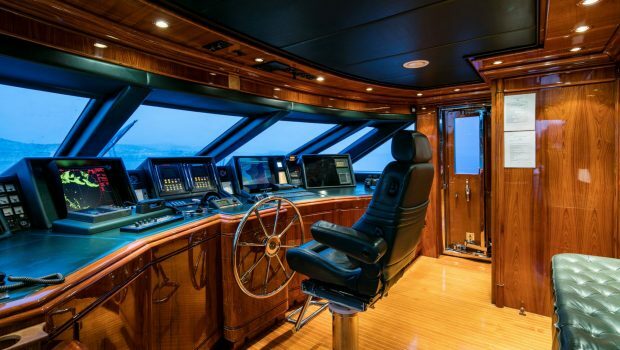 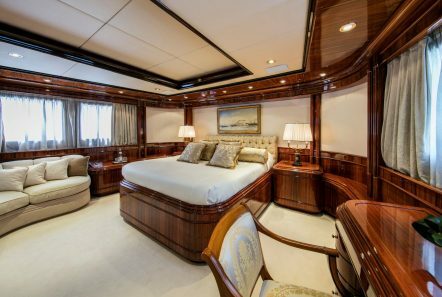 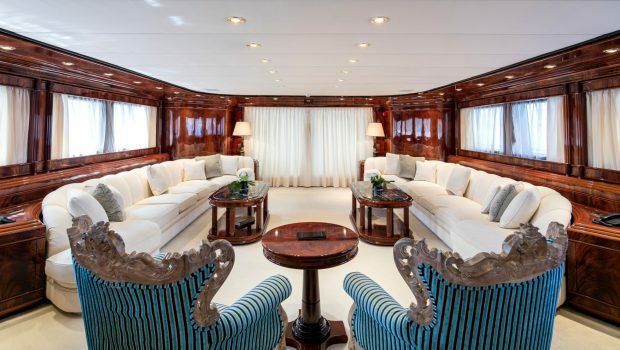 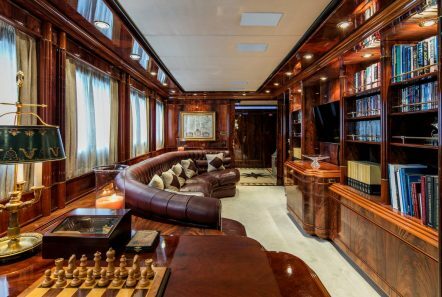 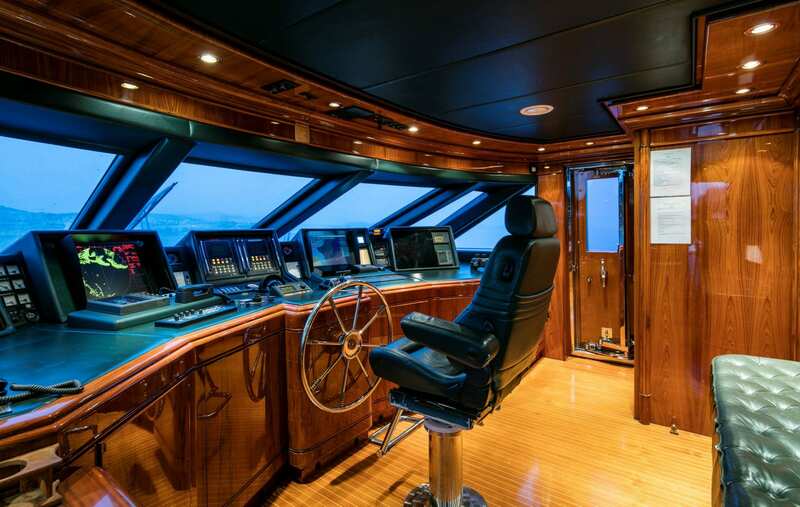 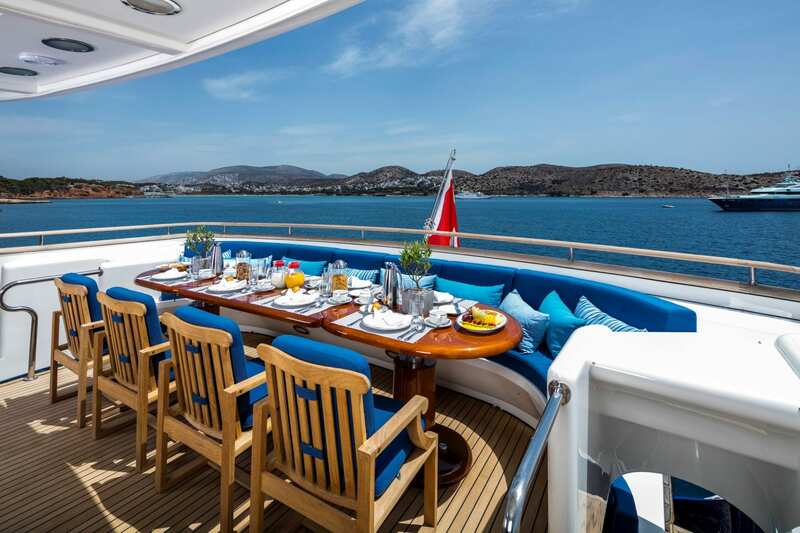 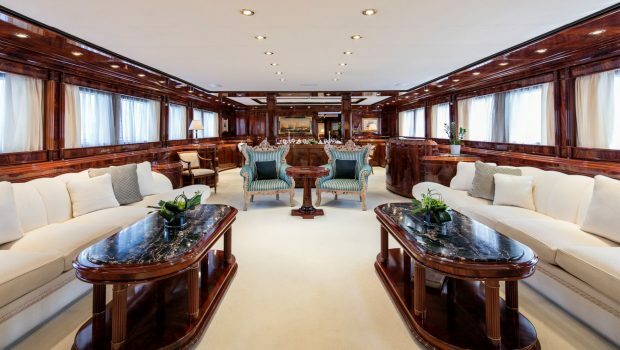 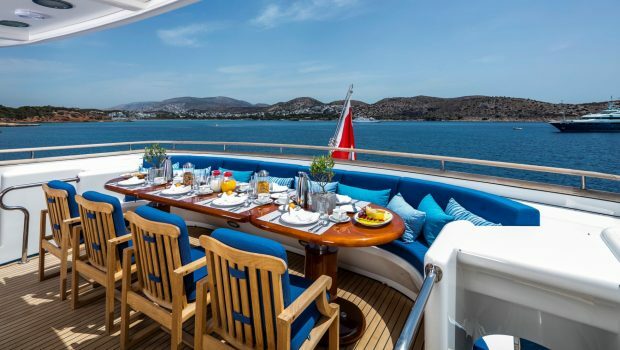 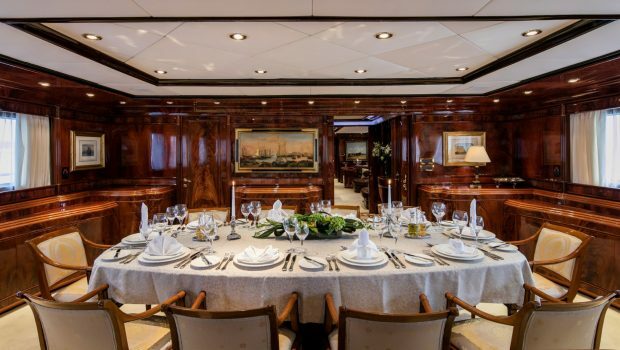 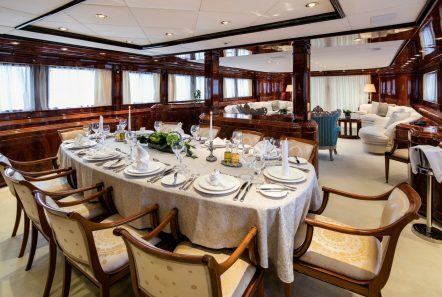 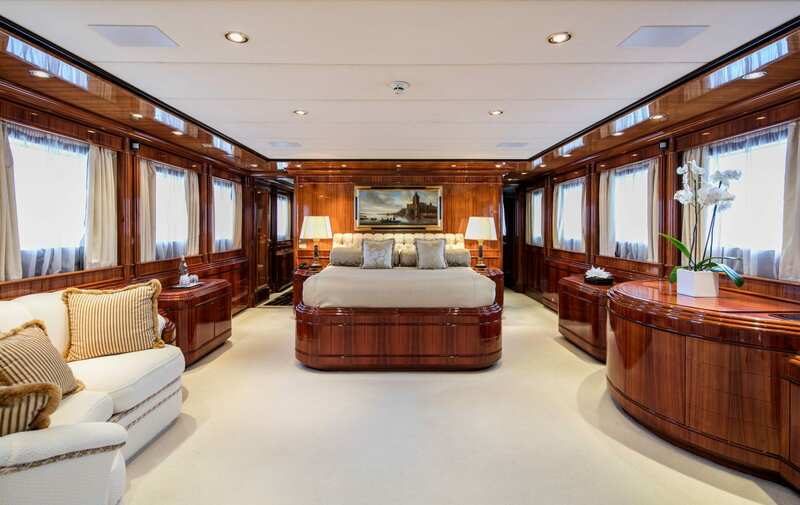 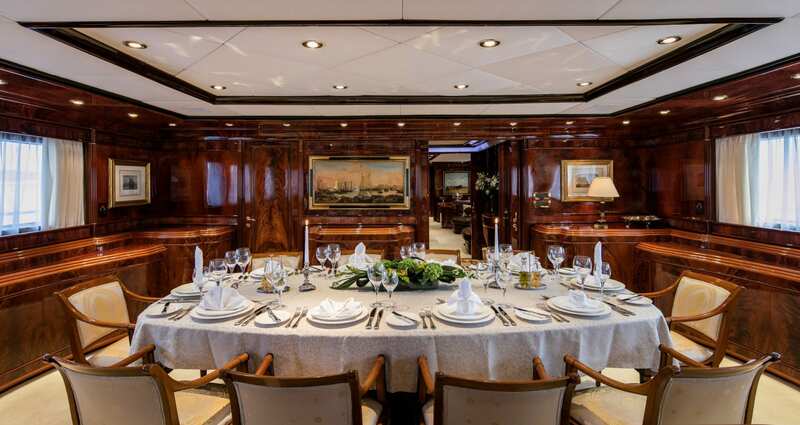 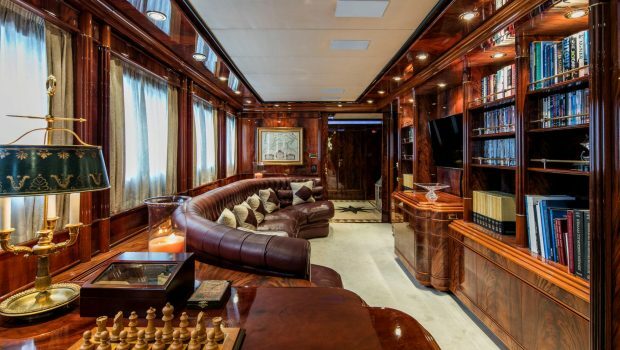 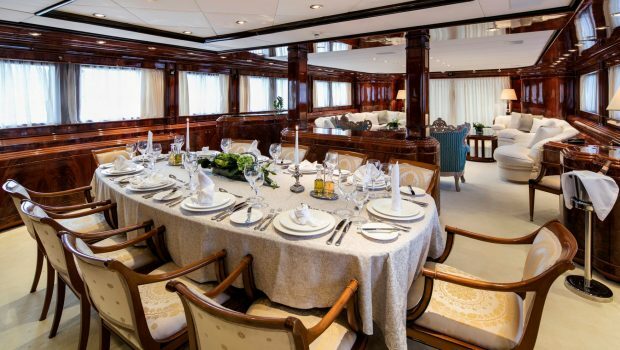 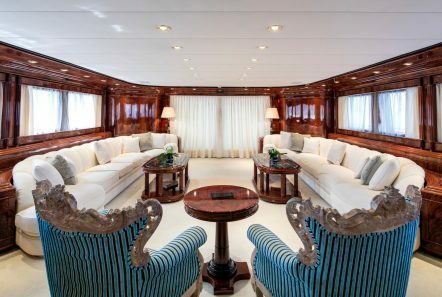 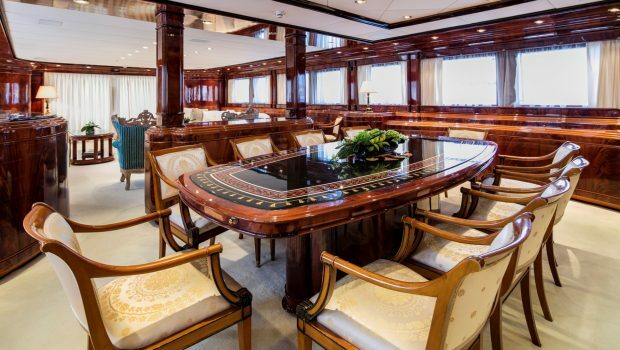 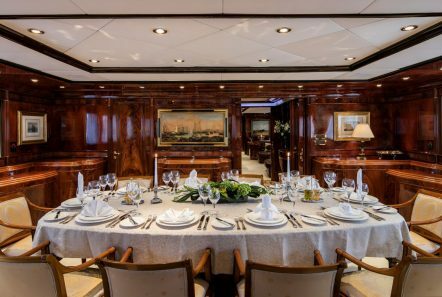 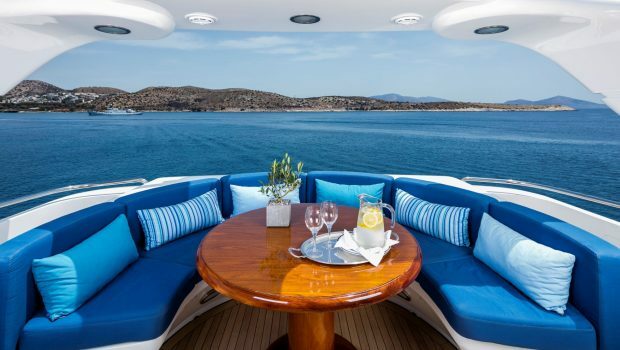 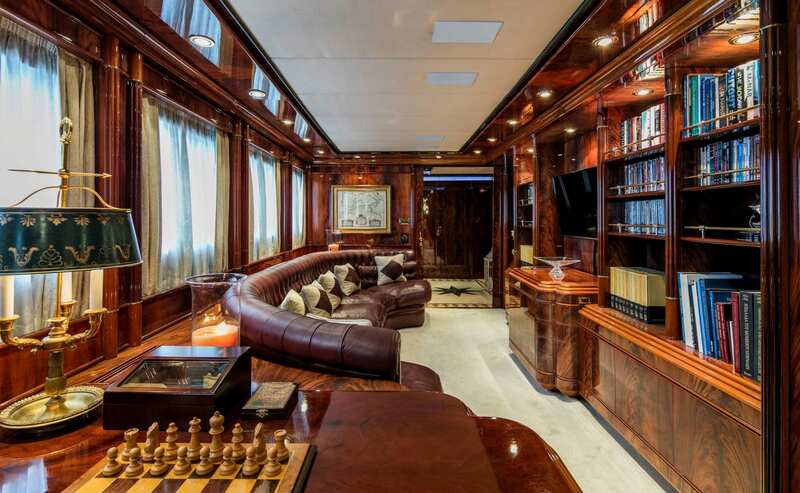 Formal dinging can be had in her elegant dining room or for a more casual feel on the top deck dining area. 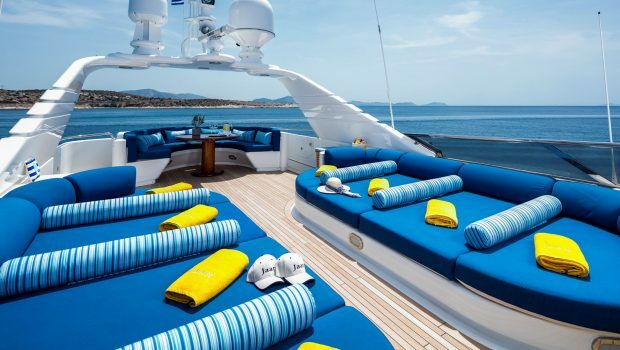 The sun deck if equipped with a sun bed area and full seating area. 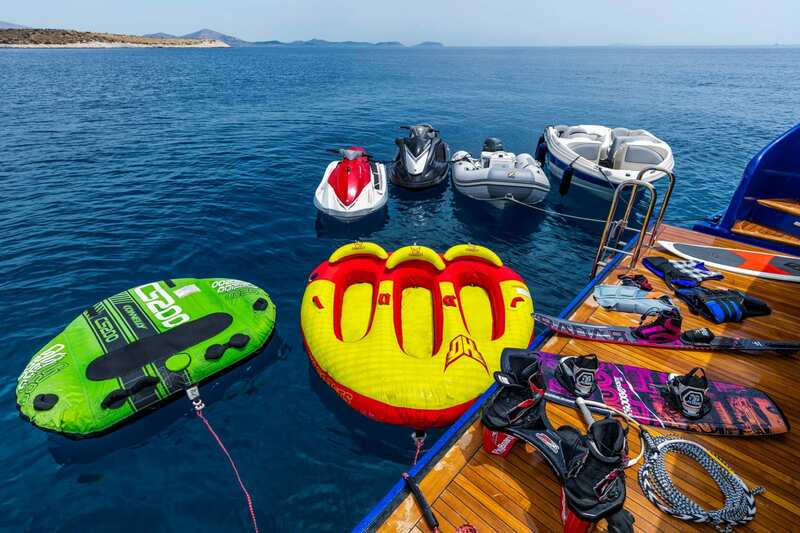 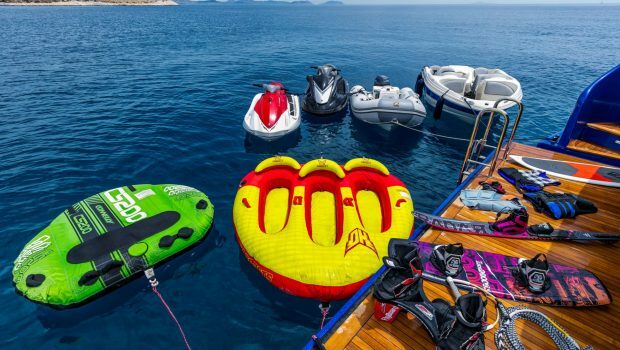 The easy access swim platform makes for lots of fun with the sea toys right at hand. 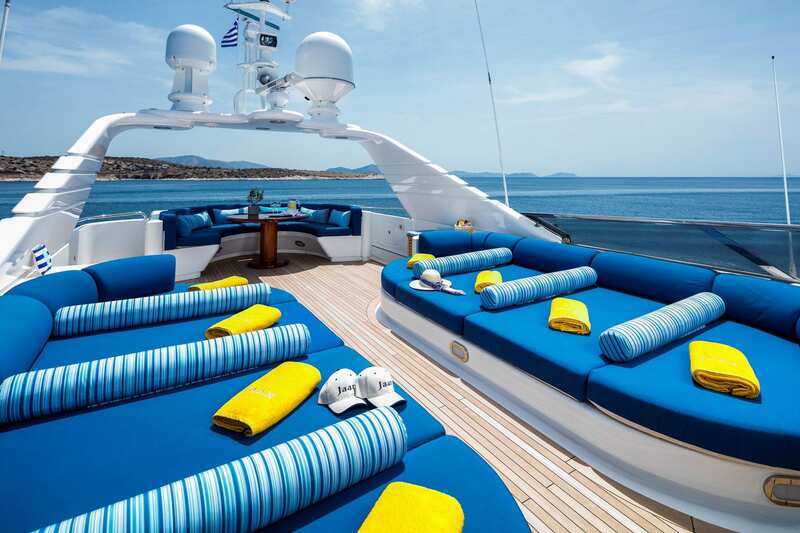 She is staffed by an excellent crew of nine.